I am really, really enjoying this series and can't wait for the last book! Stephanie Garber describes Tella and Scarlett's world so beautifully, and listening to these books is like a mini escape to a world full of parties, magic, and beautiful dresses. There were enough twists and turns to keep the plot moving along nicely, and Rebecca Soler's narration is excellent. 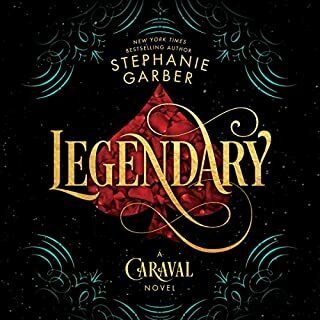 This series reminds me a lot of The Night Circus in the best possible way, so if you enjoyed the Night Circus (and enjoy YA fiction), you may enjoy Legendary. 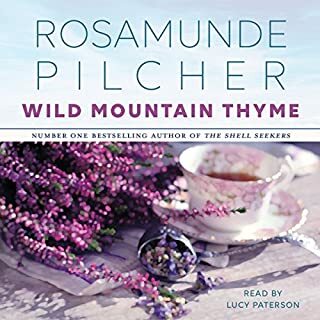 Wild Mountain Thyme had all the elements I love about Rosamunde Pilcher's audiobooks: beautiful descriptions of the landscape, a soothing narrator, and a bit of romance. I was not as captivated with this story as I have been with other Pilcher stories... the plot seemed a bit thinner than some of her other books. If you love Rosamunde Pilcher's books, you'll probably enjoy this one. But if you're new to this author, I'd suggest starting with Coming Home, Winter Solstice, or The Shell Seekers over this book. 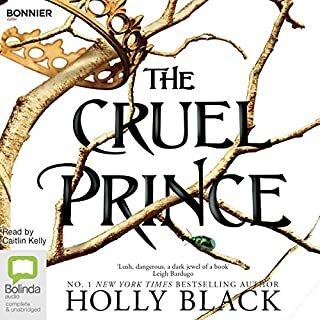 Overall I think this is a really great audiobook: Holly Black did such an amazing job building the Faery world, that it was easy to get immersed. The plot was interesting, exciting, and full of twists. The narration was excellent. But the romance elements were problematic for me. I don't want to veer into spoiler territory, so I'll just say that the whole "boy is mean/abusive to girl, but only because he really likes her," is an outdated cliché, and that the young adult readers that this book is marketed towards deserve better. Although I bought this book for roadtrips with my kids, I'm glad I listened to it on my own first. The descriptions of troll guts and gore are pretty intense, and probably not appropriate for most kids under 10. Also, the author shouting the character AARRGGH's name constantly got old real fast. Other than that, the story is ok but not spectacular. 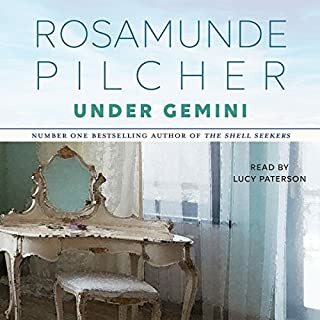 Rosamunde Pilcher is one of my favorite authors. Under Gemini (like most of her books), is a lovely, quiet story set in beautiful British scenery. The only issue I had was with the "slap" scene... it was slightly problematic for me, but I gave it a pass due to the fact the book was written in the 70's. In general, of you like Pilcher's other books, or if you're a fan of Maeve Binchy, you'll probably enjoy this book. 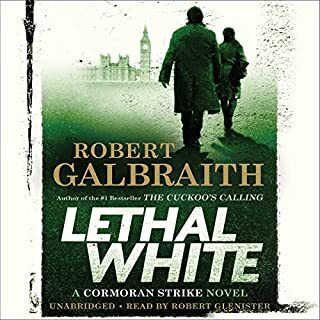 The narrator's calm voice was perfect for a Rosamunde Pilcher story, and she did an excellent job of expressing the characters's emotions, without going over the top. 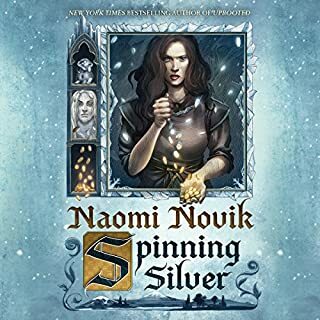 I've been a fan of Naomi Novik for a while now, and this latest book does not disappoint. Her take on the Rumpelstiltskin story is so fresh and original, but still feels very much like a fairy tale. Although I like the narrator, I found that it was sometimes hard to figure out which character was speaking. The story is told by several different characters in the first person, and the voices used by the narrator were very similar. It was easy enough after a sentence or two to figure out who was speaking, but it did cause a bit of confusion for me at certain points. 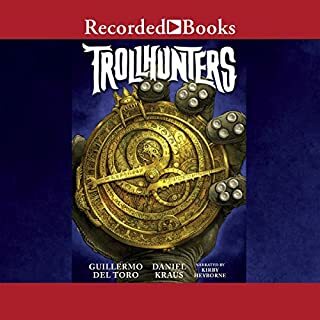 For me, the best audiobooks are the ones that you want to listen to over and over again, and I think that this story was interesting enough and the narrator was enjoyable enough to re-listen to this audiobook. 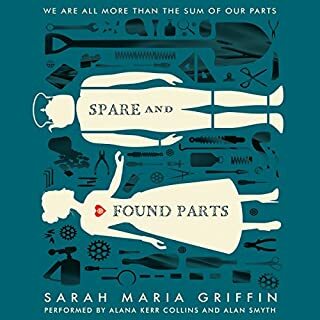 In a city devastated by an epidemic, where survivors are all missing parts - an arm, a leg, an eye - Nell has always been an outsider. Her father is the famed scientist who created the biomechanical limbs that everyone now uses. But she's the only one with her machinery on the inside: her heart. Since the childhood operation, she has ticked. Like a clock, like a bomb. And as her community rebuilds, everyone is expected to contribute to the society's good, but how can Nell live up to her father's revolutionary ideas? I'm typically a fan of post-apocalyptic YA fiction, but I couldn't get into this one (I gave up about halfway through). The narrator was excellent, and the writing was good, but the plot and the world of this book just wasn't interesting to me. It seemed like a slight variation of every other post-apocalyptic teen novel, and didn't seem to bring anything new or exciting to the genre.